Charles M. McMaster in Woburn, April 5th, at seventy two years of age. Beloved husband of Katharine (Brickley) McMaster. Devoted father of Bonnie J. Donahue, her husband Jeff of Melrose, Tammy McCarthy, her husband David of Dennis, Debra J. McMaster, her husband Dave Sand of AZ and Kevin C. McMaster of Woburn. Dear brother of Doris Park of NJ, and the late Helen Sullivan, Margaret, Elmer, Joseph, Lawrence, David and Robert McMaster. Cherished “Papa” of Kari, Jay, Shelley, Jonathan, Madeline and Delilah. A Funeral will be held from the Lynch-Cantillon Funeral Home, 263 Main Street, Woburn on Wednesday morning, April 10th, at 9 a.m., followed by a Funeral Mass in St. Barbara Church, 138 Cambridge Road, Woburn, at 10. Interment to be held at a later date. Relatives and friends are respectfully invited to calling hours at the Funeral Home, Tuesday, April 9th 4-7 p.m. At the families request remembrances may be made to The Jimmy Fund, PO Box 849168, Boston, MA 02284-9168. Charles M. “Charlie” McMaster passed away at his home at seventy-two years old with his beloved family at his side early Friday morning, April 5th. Born in Cambridge, Charlie was the eighth of nine children born to the late Michael and Helen (Dunphy) McMaster. Raised and educated in Somerville, Charlie would spend time with his family and friends playing sports, and spending summers on the Cape. He was a graduate of Somerville High School Class of 1962. Following high school, he was drafted into the United States Army, serving proudly during the Vietnam War Era as a crypto teletype operator. Upon returning home to Somerville, Charlie worked at Wang Labs as a computer analyst, where he remained for over thirty years. He continued as an analyst at Sun Life Financial and later J.P. Morgan, until retiring in 2012. Charlie was married to the love of his life, Kitty Brickley, for forty-one years. They were a strong, beautiful couple, and together raised four children. Family was first and foremost for Charlie. Anytime the kids were involved in activities where rides or chaperones were needed, Charlie was there. It made no difference; whether it was school, Scouts, church outings, sporting activities, play dates, or after school jobs, Charlie always took the time. Becoming a grandfather added a new dimension to his life. He loved being “Papa” to his six grandchildren. He would attend sports games, dance recitals, school shows, and cherished sharing time with them and watching them grow. Fun loving, Charlie enjoyed playing on a company softball team and working on his model trains. 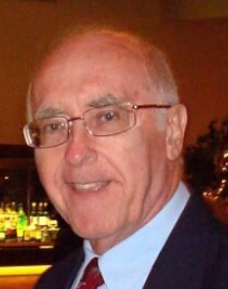 He was a life-long member of the Somerville City Club, and was an avid Boston sports fan. His love also extended to animals and it was never a dull day with the assortment of pets roaming the house. He and his family would often host family cookouts and gatherings around the pool, and loved spending summer vacations in Osterville. He loved gardening, and would grow beautiful flowers, zucchini, cucumbers, peppers, and tomatoes in his backyard garden. Charlie was also a man of faith. From the time he moved to Woburn, he was actively involved in St. Barbara’s Church. The church community would come together as a family, and Charlie would always attend weekly masses, and lend a hand whenever needed. He was a proud volunteer in events such as parish shows, concession stands, and chaperoned on various occasions. Always looking for ways to give back to his community, Charlie was very passionate about being a universal blood donor. He regularly donated blood to the American Red Cross, and was just a few pints short of earning a 100-pint honor. He also contributed to Veterans causes and cancer research. Along with his wife, Kitty (Brickley) McMaster, Charlie is survived and will be deeply missed by his children, Bonnie Donahue, and her husband Jeff of Melrose, Tammy McCarthy, and her husband David of Dennis, Debra J. McMaster, and her husband Dave Sand of Tucson, Arizona and Kevin C. McMaster of Woburn. Dear brother of Doris Park of NJ, Kazue McMaster of Derry, NH, and Joanne McMaster of Osterville, and the late Helen and William Sullivan, Margaret, Elmer, Joseph, Lawrence, David, and Robert McMaster. Cherished “Papa” of Kari, Jay, Shelley, Jonathan, Madeline and Delilah. Charlie is also survived by many nieces and nephews. Charlie had such a positive attitude and outlook on life, always enjoying the company and conversation of others. His perseverance was admirable and inspirational to all who knew him. Over the last three years he courageously dealt with his illness. He was man who truly loved his family sharing a tremendous faith in today, and looking forward to tomorrow. A Funeral will be held from the Lynch-Cantillon Funeral Home, 263 Main Street, Woburn on Wednesday morning, April 10th, at 9 a.m., followed by a Funeral Mass at St. Barbara’s Church, 138 Cambridge Road, Woburn, at 10 a.m. Interment to be held at a later date. Relatives and friends are respectfully invited to calling hours at the Funeral Home, Tuesday, April 9th 4-7 p.m. At the family’s request remembrances may be made to The Jimmy Fund, PO Box 849168, Boston, MA 02284-9168. A Funeral will be held from the Lynch-Cantillon Funeral Home, 263 Main Street, Woburn on Wednesday morning, April 10th, at 9 a.m., followed by a Funeral Mass in St. Barbara Church, 138 Cambridge Road, Woburn, at 10. Interment to be held at a later date. Relatives and friends are respectfully invited to calling hours at the Funeral Home, Tuesday, April 9th 4-7 p.m. At the families request remembrances may be made to The Jimmy Fund, PO Box 849168, Boston, MA 02284-9168. I know what a devoted daughter you were to your dad. You have always spoken of him with such love and pride in his strength. My thoughts and prayers are with you and your family. Through the times Tammy shared stories of her father, both during his illness and before, it was so clear what a loving and devoted father, husband and grandfather he was. The world is a better place with such people of character and care in it. He fought the valiant fight and leaves his proud legacy behind in all of you. I send your family prayers and warmth at this difficult time of loss and change. Love you Dad. Will always remember the advice you gave me when Bonnie and I got engaged. Never forget how you were always there with a smile and some really corny joke.